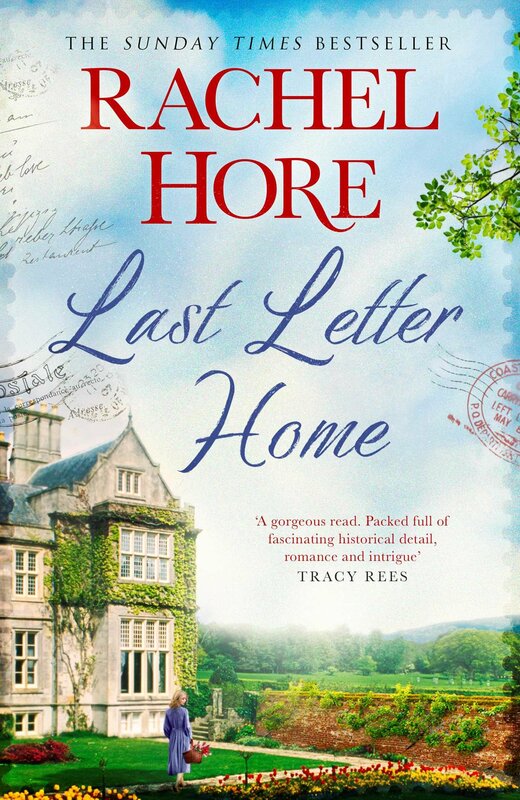 Rachel Hore’s ninth novel is an unashamedly romantic tale, spanning some seventy years. Briony Wood, a historian, is on holiday with friends in Italy. She is fascinated by a derelict villa set in the hills behind Naples that was used as a base by British soldiers during World War II. Briony’s grandfather had been in the area in 1943 and she wonders whether he had visited it. A local woman gives her a sheaf of letters written by a woman called Sarah Bailey, from Norfolk, to a soldier named Paul that were found in the villa. Briony finds herself driven to discover more about Sarah and Paul, and her late grandfather, Harry Andrews. The action switches to 1938, and Sarah Bailey has returned to England, following the death of her father. With her mother and sister, she sets up home in the Norfolk village of Westbury, not far from a lovely old manor house. Ivor, a distant relation who lives in the manor house, takes an instant liking to Sarah and she is flattered by his attentions. Paul, a young German man, lives in the area with his mother who is English. They escaped Germany when Paul’s father was killed. As the winds of war blow stronger, Paul finds that not everyone is happy to have a German living nearby. Sarah and Paul find they have a common interest in gardening and despite Ivor’s efforts to belittle Paul, they become firm friends. Initially, Rachel Hore’s writing is overly stuffed with adjectives that overwhelm the story. However, once the settings and main characters are introduced, her writing settles down into a smooth rhythm and the pages turn with ease. The settings are well researched and both the 1940s and modern day Italy are richly atmospheric. Wartime Norfolk is full of small but telling details and although there are some stock characters – the posh manor family, the ex-soldier estate manager – they do not detract from the enjoyment of the tale. Sarah is the most developed character and it is easy to sympathize with her. In Ivor, Hore indicates a cruel streak from the outset, while Paul seems a little passive at first. Briony’s need to find out about her grandfather’s life is well drawn, and the letters by Sarah are touching and full of character. As the war gathers pace, life changes for everyone, with even Ivor’s family finding their luxurious life slipping away. Sarah works hard gardening under the watchful eye of the government inspectors who want every patch of earth to produce food for the country. 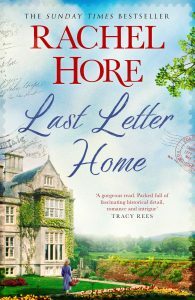 Hore echoes the burgeoning relationship between Sarah and Paul in the modern day sections with Briony and the man she falls in love with. It adds interest to both relationships, showing that while the world may have changed, the complications of love relationships span the decades. This is an engaging read – with a well disguised twist – and the mix of history and romance is handled with great skill. A fabulous book to take on holiday. CROSS Purpose, Claire MacLeary’s striking debut novel, introduced Harcus & Laird, an odd couple of middle-aged Aberdonian quines turned private investigators. It was longlisted for the McIlvanney Prize for Scottish Crime Book of the Year. In Burnout, Maggie Laird and Big Wilma Harcus return, rebuilding the private investigations company that Maggie’s late husband ran after his dishonourable dismissal from the police force. Maggie hasn’t given up hope of clearing her husband’s name but in the meantime she has to work as a private investigator to pay the bills that her part-time job at a local school doesn’t cover. She meets with Sheena Struthers, a well-to-do woman from an affluent area of Aberdeen, who thinks her husband is trying to kill her. Maggie is surprised but sympathetic, seeing a little of herself in Sheena. Wilma, on the other hand, is furious that she has accepted Sheena as a client, the pair having agreed to stay away from domestic cases. ‘Ah’m only tryin to protect you, ya feal quine,’ says Wilma. The most serious disagreement of their fledging partnership threatens both their personal and professional relationships. By showing their differing reactions to Sheena’s problem, Maggie compassionate and Wilma doubting, MacLeary has added depth to both characters. Maggie is also trying to support Ros, a young teacher, whom she befriends during breaks at school. Ros is suffocating in a marriage where her narcissistic husband calls all the shots but she is trying to make it work for the sake of their baby son. Wilma juggles Harcus & Laird cases with a job as a cleaner at a local hospital. She relishes getting out and about, following up on insurance claims to establish whether they are genuine or fraudulent. This means that Wilma is rarely at home and Ian, her usually easy-going husband, is far from happy. With the growing distance between herself and Maggie, Wilma struggles to cope. After several meetings during which Sheena provides little evidence for her husband’s alleged murderous tendencies, Maggie tries to point her client towards a doctor. When Sheena is later found unconscious in her own home, Maggie wonders if she has missed a vital clue. She is interviewed by DI Chisolm, formerly a colleague of her late husband, who is investigating Sheena’s case, and also calls on DS Burnett, who has long carried a torch for her, to help with a personal matter. The Aberdeen setting provides an interestingly tough background and MacLeary doesn’t shy away from using strong language appropriate for her characters. She touches on current social issues, such as violence against women and the discrimination they face, particularly when dealing with public bodies such as the police. 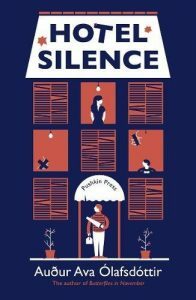 Working-class Wilma’s surprising lack of confidence allows MacLeary to explore class, an issue that continues to haunt British society. But she also leavens the tale with some welcome humour, Wilma seeing the funny side of even the most troubling circumstances. Harcus & Laird’s second outing is as absorbing as their first. This is a thoroughly entertaining series that could run and run. In the 17th century, Barbary pirates prowled European waters, abducting men, women and children and selling them in the slave markets of Algiers and Morocco. In 1627, pirates raided Iceland and the Reverend Olafur Egilsson, his wife and their children were taken from the small coastal island of Westman along with some 400 of their friends and neighbours. After a long and difficult voyage aboard an overcrowded ship, they arrived at the Algiers slave market. The islanders were sold but Egilsson was freed so that he could go to the King of Denmark, Norway and Iceland to petition for a ransom for his compatriots. Egilsson wrote about his experiences in The Travels of Reverend Olafur Egilsson: Captured by Pirates in 1627, but there are no records of how Asta, his wife, fared in a foreign land. 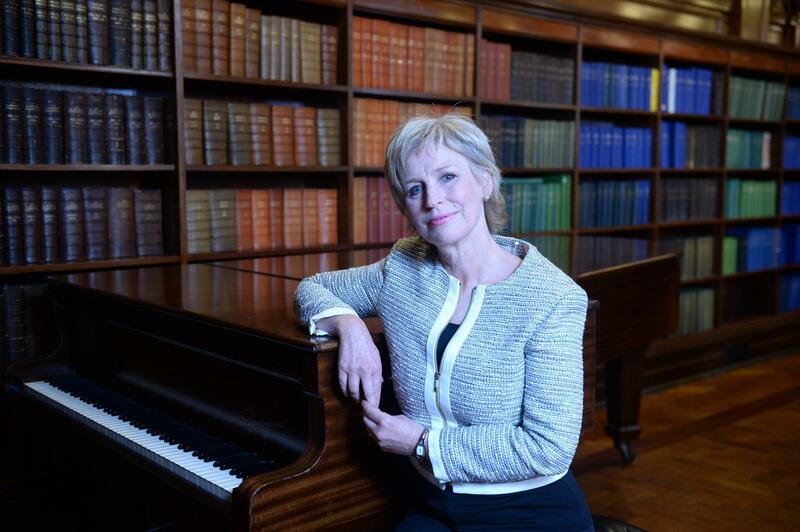 For her debut novel, Sally Magnusson has given voice to Asta and she emerges as an intelligent, courageous woman making the best of what life has thrown at her. The islanders’ arrival at the slave market sees them treated like livestock. Magnusson shows their fear and humiliation as they are examined and have their teeth checked. Asta sees her son Egill being bought by the Pasha and Egilsson is sent to negotiate a ransom. Meanwhile she and her daughter and baby son are bought by Ali Pitterling Cilleby, a rich Moor who lives in the dazzling white city of Algiers. In the harem, Asta is overwhelmed by the riot of colours and fine fabrics as Magnusson subtly contrasts Asta’s new life with the grey island existence she has left behind. The habits and customs of the Islamic household are viewed through Asta’s frequently astonished eyes. Food is so abundant that the excess is fed to the animals in the evening and the variety of fruits and spices are a revelation to someone who has spent most of her life surviving on fish and eggs. With the hot sun and beautiful gardens, Asta’s life in the harem takes on a dream-like quality. Cilleby takes an interest in Asta and her Icelandic sagas, summoning her in the evening to talk while he relaxes with his coffee and pipe. Through Asta, Magnusson gives tantalising summaries of the sagas but none is told in full. This is disappointing in a novel where stories are so important. The sagas are Asta’s link to her old life, her comfort when she thinks about her husband and son and wonders if they have survived. Stories are also important to the other women in the harem, the Arabian Nights being as essential to their lives as Asta’s sagas are to her. 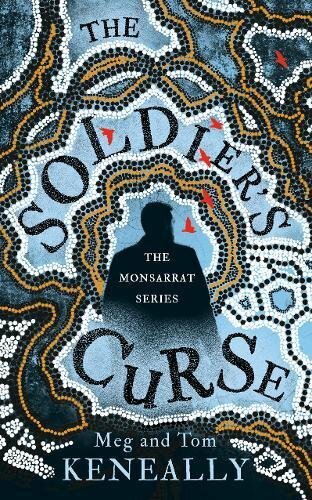 After several years, Asta has become reconciled to her life in Algiers but when news arrives that a ransom is being paid she has to make a heartbreaking decision. Magnusson has chosen a fascinating and little-known historical event as the starting point for her tale of surviving, and even thriving, against the odds. She adds a much-needed female perspective to Egilsson’s memoir of his journeys, providing Asta with a fully rounded personality and a curious mind to explore the new world she finds herself in. What doesn’t change, of course, is that Asta is subject to the rules and regulations of men whether she is in Iceland or Algiers. This is an impressive debut from Magnusson who seems to have inherited her Icelandic ancestors’ talent for beguiling storytelling. TARTAN Noir may be a useful marketing term that helps sell Scotland’s many crime writers to the world but it fails to show how varied their books are. 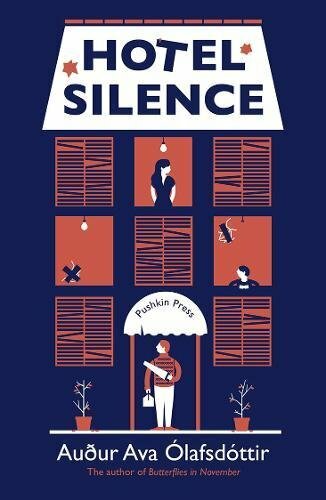 Two new novels give a flavour of the stylistic diversity being produced. Bloody January, a gripping debut novel by Alan Parks, is set in Glasgow in the first few weeks of January, 1973. When a teenage boy shoots a young woman dead before turning the gun on himself, it is left to dishevelled Detective Harry McCoy to find out why. With Wattie, his new sidekick in tow, he is determined to find out why two teenagers died in such a shocking way. Was it a random killing by a boy high on drugs or was the girl a planned target? McCoy’s Glasgow is a dark, brooding city, where the line between the police and the underworld is frequently blurred. He uses drugs to keep himself awake during long shifts, and relaxes with a joint with Janey, a prostitute, when his work is over. Parks peppers the dialogue with industrial strength swearing but it never feels gratuitous, being perfectly in keeping with the patter of the various characters he has created. McCoy haunts some of Glasgow’s grubbier corners, from down-at-heel pubs to greasy cafes and dangerously derelict buildings hiding lucrative criminal enterprises. He goes to Paddy’s Market looking for an informant, and Parks takes the opportunity to explain the history and hierarchy of the market, with better goods being sold under the bridge away from the worst of the weather. This kind of insider knowledge grounds the story firmly in the Glasgow of yesteryear, long before it became miles better and a cultural hot spot. McCoy’s investigations lead him to the Dunlop family, one of the richest and best connected families in the city. Their public face is one of sober respectability but behind the scenes they are corrupt and ruthless. Warned to stay aware from the family, he is determined to do whatever it takes to solve the murder-suicide of two young people. McCoy joins a distinguished cadre of hard-boiled detectives, loners who prefer to do things their own way, and he is an intriguing addition to the canon. Peter May returns to the Hebrides for his latest tale which features husband and wife, Niamh and Ruairidh Macfarlane. The Macfarlanes are in Paris to promote their unique cloth, Ranish Tweed, a lighter and more colourful version of Harris Tweed. Niamh receives an anonymous email saying that her husband is having an affair, which seems to explain the recent tension between them. Shortly afterwards, she witnesses the car Ruairidh is travelling in explode. Still in shock, she is questioned by Parisian police and realises that they suspect she might have had something to do with her husband’s death. Eventually she is allowed to return home and takes her husband’s remains, stored in a coffin meant for a premature baby, back to Lewis. Back home she has to negotiate family politics when all she wants to do is grieve for her husband. The present day story is told in the third person, whereas Niamh relates the story of her relationship with Ruairidh and the growth of their business. This works well and offers essential background information about the couple from Niamh’s point of view. As a young child Niamh had fallen into a bog and was in danger of being sucked under. It was Ruairidh who slithered out on a wooden plank to save her. ‘I’ll keep you safe,’ he said. May has conducted extensive research into the Hebridean weaving business, giving his tale of the fictional Ranish Tweed a solid foundation. He explains the different looms that are used, how the cloth is made at home by islanders, then finished in the local mills before being sold around the world. His descriptions of the Hebrides are lyrical and the changeable weather echoes Niamh’s erratic state of mind. Yet some of May’s characters are disappointingly clichéd. For example, Lee, the outrageous and self-indulgent fashion designer who gives them their first break, and Ruairidh’s mother, the archetypal disapproving mother-in-law. Niamh is well-rounded, her sorrow and confusion eliciting genuine sympathy. Even so, the latter section of the novel seems to lose its way. Niamh is still beset by problems but the denouement, when it finally arrives, is implausible. It undermines the mystery and tension that May has meticulously built up to that point, and the story ends with a whimper rather than a bang.